Passionate--formerly Moderate--now Liberal "Mormon": How Do You Solve a Problem like Mitt Romney? Let me stick with the Utah or Mormon issues for now. 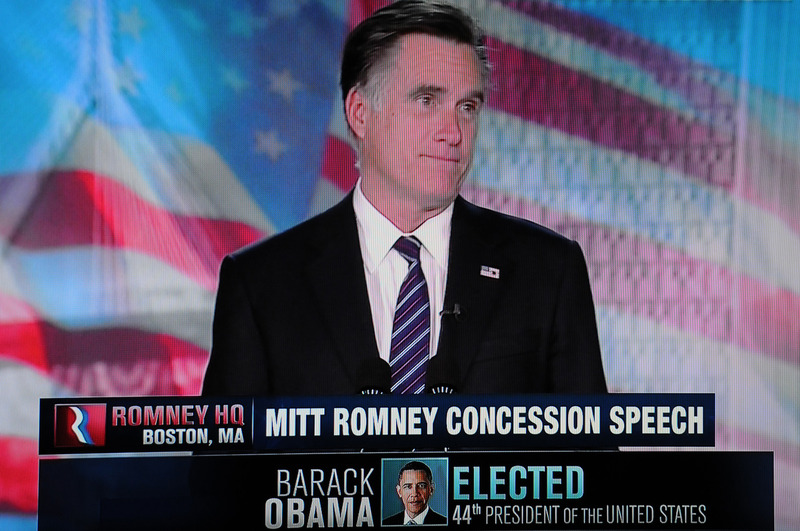 Many believed in Romney as our big chance to break out and gain some attention and maybe legitimacy in the world. We certainly got some attention. We got some recognition and at least the acceptance that we exist which isn't the same as legitimacy, but it gets us grudgingly closer. And that's not all because of Romney, but the whole swirling frenzy of the Mormon Moment which is hopefully over. Maybe we can replace it with the Mormon modicum of respectful acknowledgement that we exist, even without Romney, which may actually help for some of the reasons I've pointed out. More on the deeper, psychological and maybe weird side, there was the common belief in Mormon circles that Romney was the one to fulfill the cultural belief that one day the Elders of Israel (Mormon Elders, not the Jewish ones), would rise up and save the Constitution of the United States. This arises from a few vague statements of LDS Church leaders, including Brigham Young, and is connected to a clearly discredited "revelation" - the so-called White Horse Prophecy attributed to Joseph Smith. For a pretty good run-down on this mythology, check out the Mormon apologetics site FAIR. The important thing is that this very common cultural idea is widely believed by Mormons and it has never been official doctrine of the LDS Church. In fact, at least the White Horse Prophecy has been specifically disavowed. (This after a Mormon congressional candidate in Idaho was convening secret meetings of LDS Priesthood members to support his campaign on these theories. Fortunately, the guy never got elected to anything in Idaho and has moved on to Wyoming). There is a problematic history of fringe and extreme conservative politics in the LDS Church. However, just like the tea party, it can sometimes be loud, but the influence is not actually that wide or deep. It has not had the official support of united quorums of church leadership to ever make it official doctrine or policy of the Church. I've said all I intend to say about Ezra Taft Benson elsewhere on this blog. However, I will continue to denounce the religio-political hucksterism of types like the late Cleon Skousen, the current Glenn Beck, Utah politician Ken Ivory, and the alleged artist Jon McNaughton. After a long campaign, this is now a time for Americans to come together. It is a long tradition among Latter-day Saints to pray for our national leaders in our personal prayers and in our congregations. We invite Americans everywhere, whatever their political persuasion, to pray for the President, for his administration and the new Congress as they lead us through difficult and turbulent times. May our our national leaders reflect the best in wisdom and judgment as they fulfill the great trust afforded to them by the American people. November 6, 2012. I also have hope that while President Obama's second term will be tough, it will be even more successful than the first as the Republican leadership cooperates at least to some extent rather than face total extinction by the influence of their tea party minority who admittedly are loud, but definitely a minority even in their own party (just like the Skousenites and Beckites in Mormon circles). If there was anything to that good/evil business or the "saving of the Constitution" ideas or anything else divinely ordained that Romney was to be President, don't you think the First Presidency might have said something? It can't just be about worries about the tax exemption. I mean, if the whole world is descending into evil and that thin thread of constitutional government is ready to snap, wouldn't the Church's tax status be the least of the First Presidency's worries? I think it's time for all to calm down and keep working with the President and all the people of the United States to form that more perfect Union. I'll be hoping (and praying) for an epistemic opening! How in the world would Romney have saved our Constitution, man, that's a scary thought. Grant grant grant....it seems to be you who is constantly bringing up Romney. Let it go my friend...be worried about the value of your dollar.....and the economic hardships that are stressing our nation....the more perfect union can only be brought about by being involved with what is going on...not talking about Romney and the Ifs and whats. Our economy is what's staring us in the face. If things don't change your paycheck won't be worth anything. Mormon or not the economic crises affects all. Any thoughts about how to fix it? Jess (if not Jess, you may end up as spam) Simpson-Bowles is a start. Congress can negotiate though to modify. Continue tax breaks for the middle class, allow Bush cuts to expire on those making 250K+, Higher rates on most wealthy like first proposed by Teddy Roosevelt. Modify Social Security and Medicare by gradually increasing eligibility age. Implement Obamacare. Immigration reform could actually help economy by pathway to citizenship and bringing in more legal workers to contribute taxes for Medicare, Soc. Sec. etc. Stop the wars. Bring troops home from Europe, Japan, etc. Cut military spending extensively. Rebuild infrastructure of highways. Invest in education, alternate energy - the kinds of things that boost economic growth. Cut tax breaks on wealthy and corporate abuses. That's a start. That is a very good start! When Republicans start talking sense, I will start listening. Right now, they seem to be the problem, not the solution.